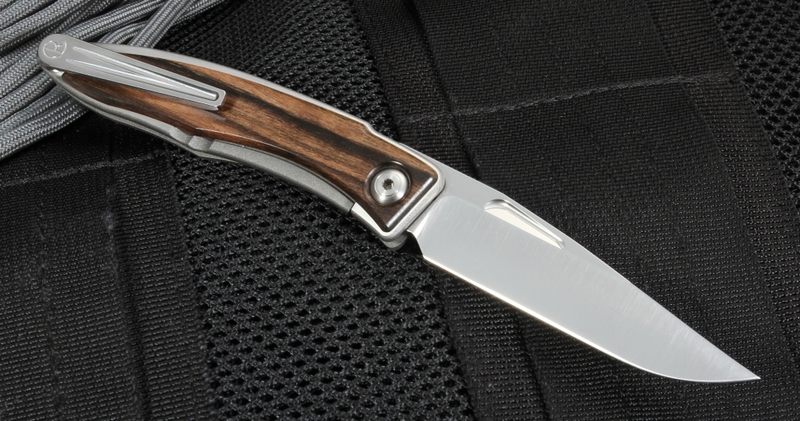 If you want your everyday carry knife to be both extremely functional and a work of art, consider putting the Chris Reeve Mnandi with a Macassar ebony wood inlay in your pants, jacket or shirt pocket. Made in the U.S., this upscale gents-size folder is an excellent choice to have on hand for tackling most tasks. 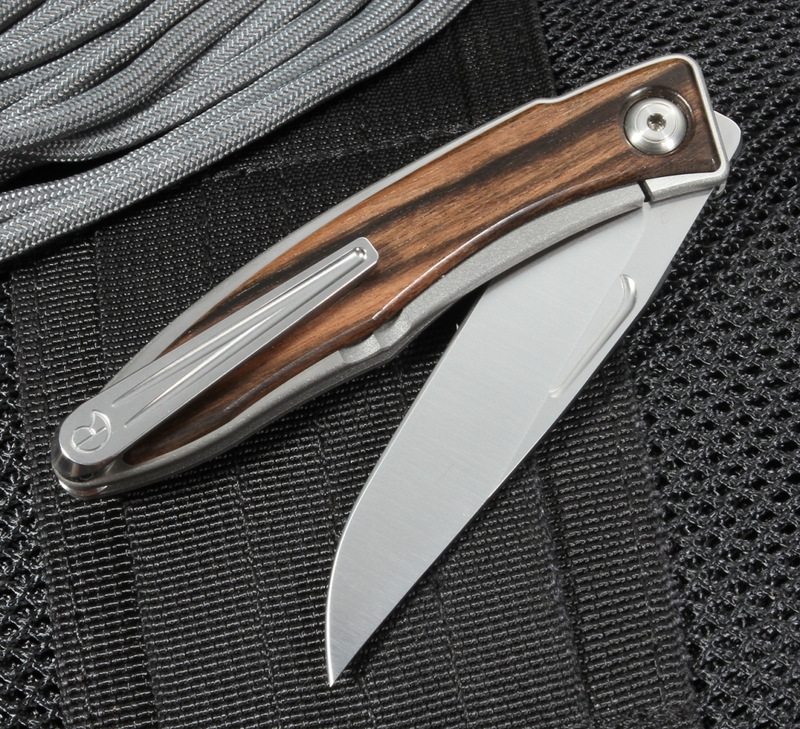 The Mnandi (pronounced mm-nun-dee, which is Zulu for "very nice") is a high-performance folder with a plain edge and a thin, hollow-grind blade that stands up to almost anything you can put it through. 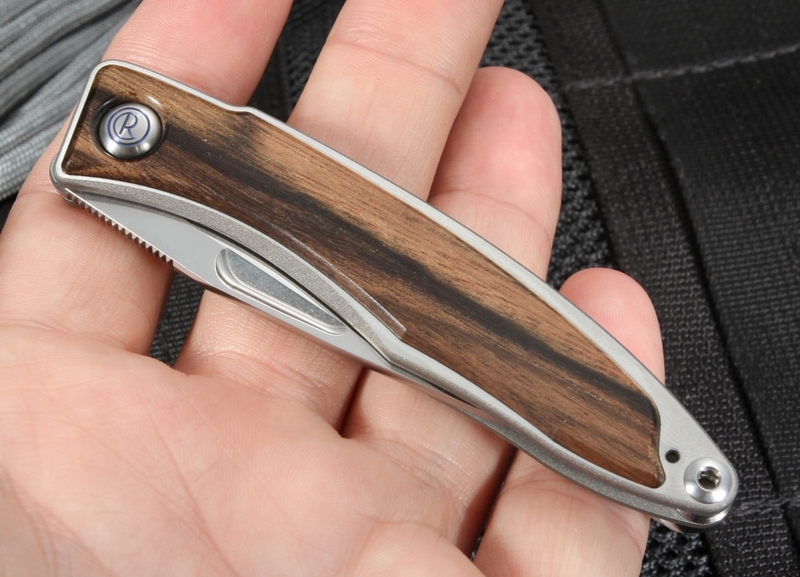 Designer Chris Reeve used durable S35VN steel in the construction of the 2.75-inch blade, and even though it's just 0.09 inches thick, it measures 59-60 on the Rockwell scale. An oversized thumb hole opener lets you open with two hands or one, providing enough finger purchase to use like a thumb lug. 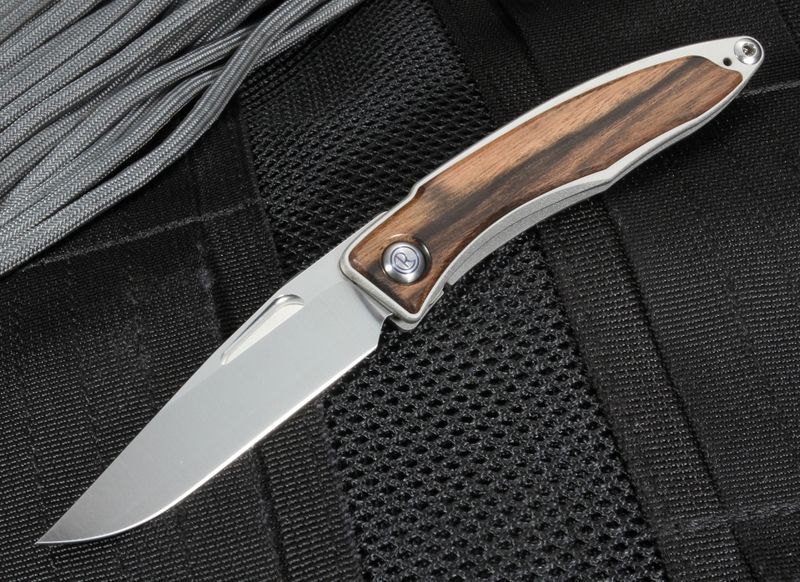 Reeve also housed the whole handle in an aerospace-grade titanium frame with his trademark integral lock mechanism, where one of the handle slabs forms a lock bar that moves into place behind the blade and keeps it from closing. The lightweight titanium has a two-tone finish -- blasted with hand satin finished flats to minimize glare -- and keeps the overall weight to just 1.5 ounces. Each handle has a thumb rest that helps you maintain a comfortable grip. The inlay is made from unique macassar ebony, which is a species of flowering tree in the family Ebenaceae that is endemic to the island of Sulawesi in Indonesia, known for its fine texture and rich, dark brown colors. 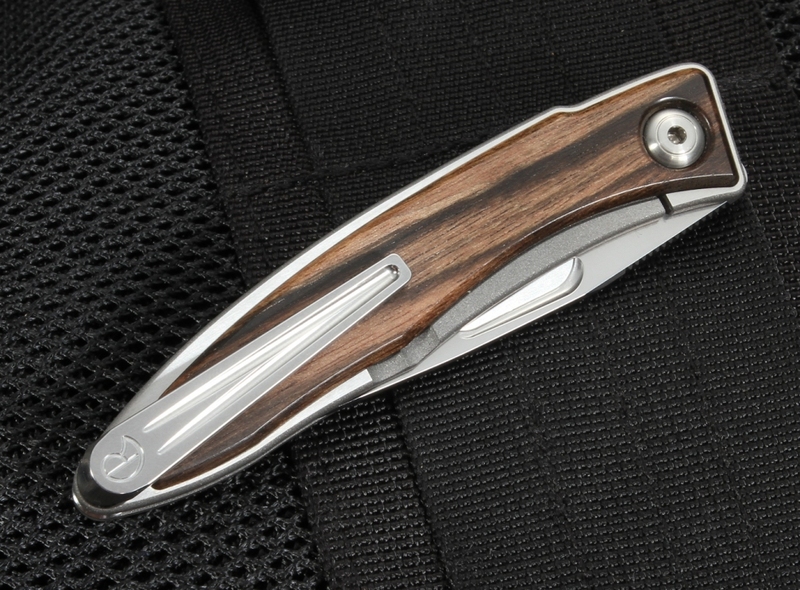 A titanium pocket clip is positioned so you can carry tip up. The Mnandi from Chris Reeve Knives measures 6.25 inches when open. Add this attractive CRK Mnandi to your collection with no worries -- KnifeArt.com guarantees your satisfaction and allows you to return it, no questions asked, if this or any other knife you purchase from us doesn't measure up to your expectations. We'll ship to your U.S. address for free.